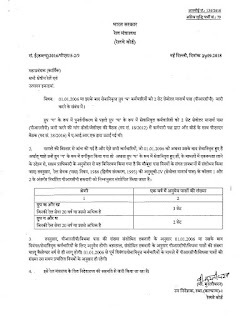 The demand for issuance'of 2 sets of PRCPs to the staff retired as Group ‘D’ before their reclassification as Group ‘C’ was raised by staff side in the DC/JCM Meeting (Item No.18/2012) and also by AIRF in PNM Meeting (Item No.38/2016) with Board. 3. Accordingly, PRCPs/Widow Passes, as per revised entitlement, shall be admissible to the employees retired/deceased on or after 01.01.2006. However, higher number of PROPS/Widow Passes, as per revised entitlement, will be issued from the current calendar year only. The number of sets of PROP/Widow Passes in case of employees retired/deceased before 01.01.2006. shall continue to be the same as prevalent at that time. 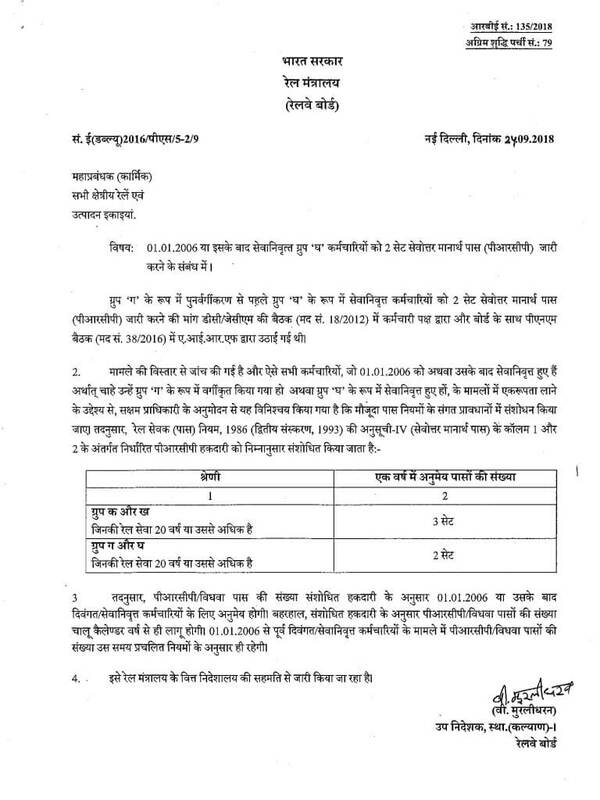 Issue of 2 Sets of Post Retirement Complimentary Passes (PRCP) to Group ‘D’ employees retired on or after 01.01.2006.. It has been decided with the approval of the Competent Authority to amend the relevant provisions of extant Pass Rules.